Pawtuxet Village Cove, Pawtuxet Village, R.I. When thinking of Warwick and Cranston, R.I., T.F. Green Airport, highways, city streets with traffic congestion, strip malls and other busy city and suburban elements come to mind. Driving Route 1 to Route 1A North from Route 37 in Warwick, however, brings about a mind-boggling change of pace. All of a sudden, commercial and industrial businesses vanish, trees start to the saturate a more narrow road, and the homes transform from modest to stunningly historic. An idyllic, lush green park by a body of water confirms that something magical is about to happen. That magic is expressed in Pawtuxet Village, one of the true best kept New England travel secrets. Passing Pawtuxet Park in Warwick and over a vehicle and pedestrian bridge into Cranston conjures up images of a similar, familiar scene with Kennebunk and Kennebunkport. Pawtuxet Village isn't nearly as famous and "high profile" as those two Maine vacation towns, and that actually works to an advantage to travelers wanting a quieter alternative. New England definitely arrives in its full glory in Pawtuxet Village with its scenic harbor -- where the Pawtuxet River flows into the Providence River and Narragansett Bay -- and quaint downtown district with shops (jewelry, art, yoga, etc. ), cafes, restaurants and other specialty shops. 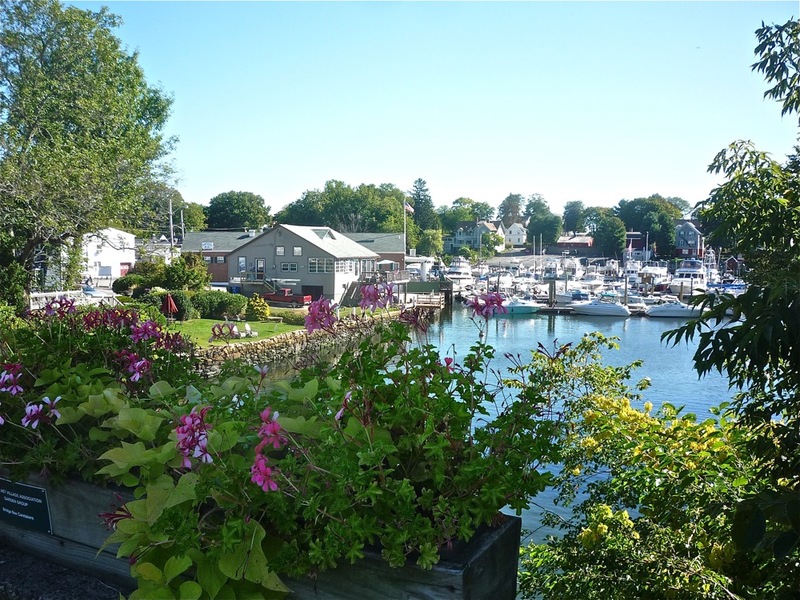 Although not nearly as developed as Kennebunkport or some of the more popular Cape Cod towns like Hyannis and Falmouth, Pawtuxet Village offers enough options to keep people of all ages interested. The waterfront scenery is worth the visit alone and the historic feel is significant -- no surpirse, as this is one of the oldest American settlements dating back to 1638. It is also one of the few villages in the United States that spans two communities: Warwick and Cranston. 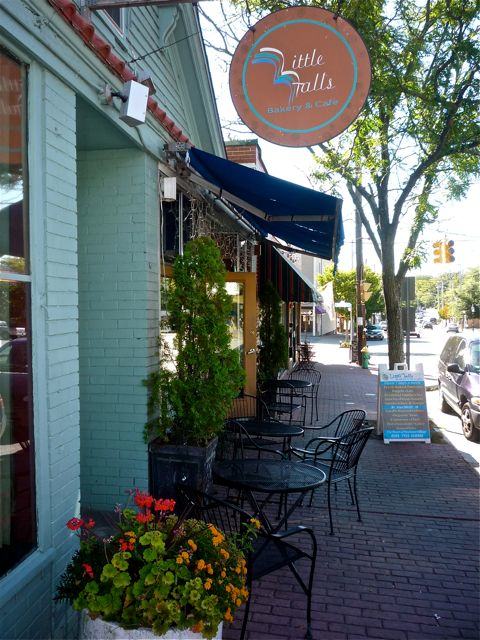 For starters, Pawtuxet Village is a wonderful walking town, and that's important -- not only for its impressive coastal scenery, but because this charming community has become something of a food destination. You just might need to take that extended walk to neutralize the appetizing calories. Basta (2195 Broad St.) serves Italian food and O'Rourke's Bar and Grill (23 Peck Lane) pub fare. 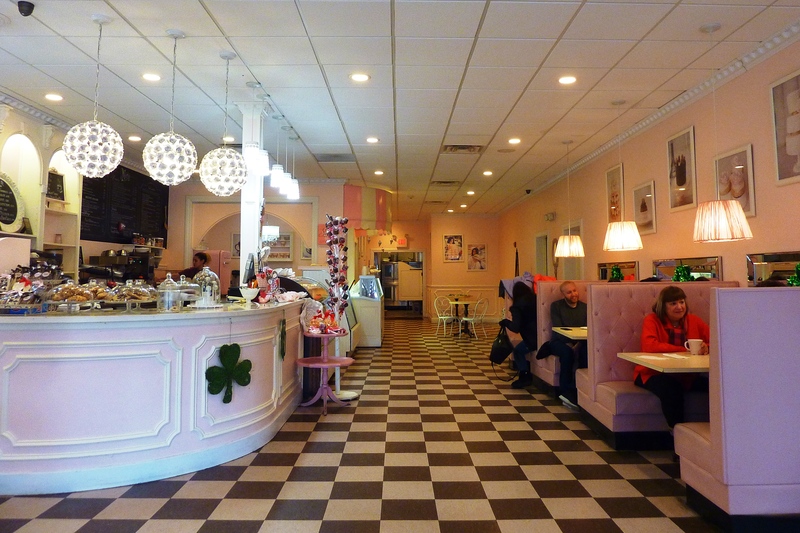 The Elephant Room (2170 Broad St.) delights as a tea room and creperie. Rim Nahm (2212 Broad St.) features delicious Thai food. 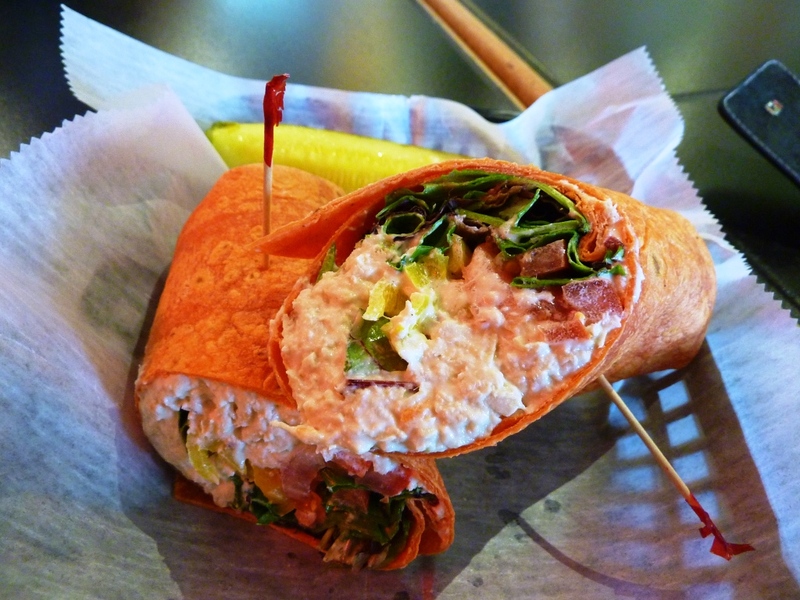 Little Falls Bakery and Cafe (2166 Broad St.) specializes in breakfast and lunch items, as well as baked goods. The Little Falls even serves pizza! 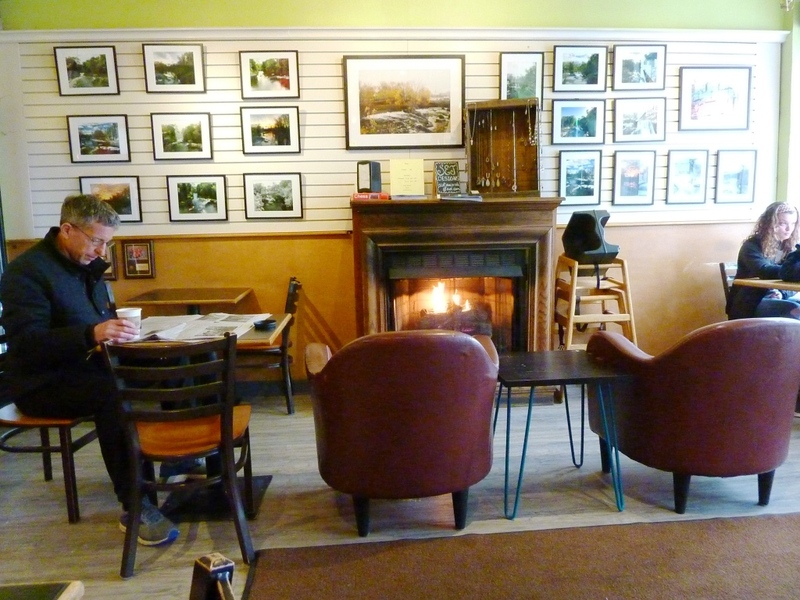 It's a wonderful little cozy place --probably no bigger than some living rooms in Pawtuxet Village homes -- with a fireplace, books to read and nice windows overlooking the pulse of charming Broad St.
Chicken salad sandwich from Little Falls Cafe. Sweet Indulgence (2202 Broad St.), a beautiful French-style bakery and cafe, specializes in masterfully- created cakes cupcakes and hand-dipped confections including chocolate apples. Sweet Indulgence cafe and bakery. 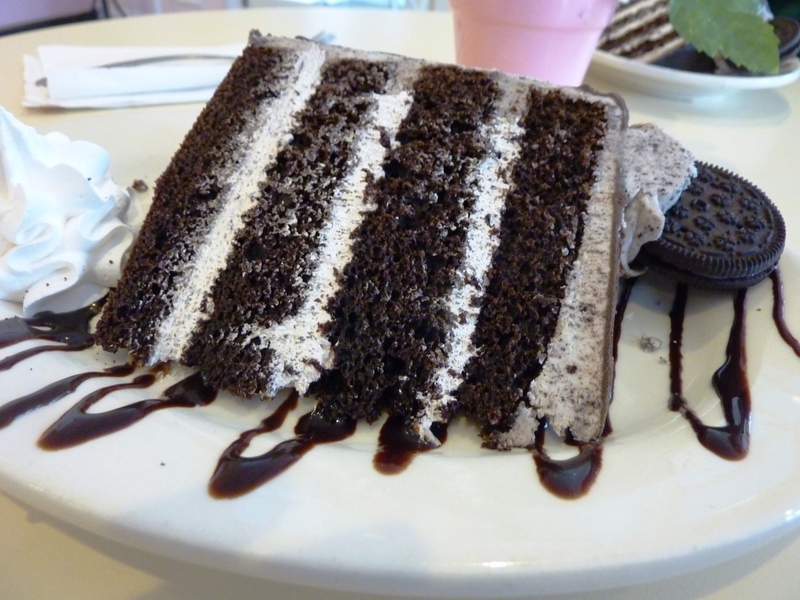 Cookies and cream cake from Sweet Indulgence. For the ice cream lover, Dear Hearts Family Ice Cream Shop (2218 Broad St.) satisfies with Bliss Brothers ice cream. It's located right by the bridge -- separating Cranston and Warwick -- overlooking the water,. While the food options abound in this small village within just a few blocks, the real appetizer in Pawtuxet Village remains the feeling of being in coastal New England. 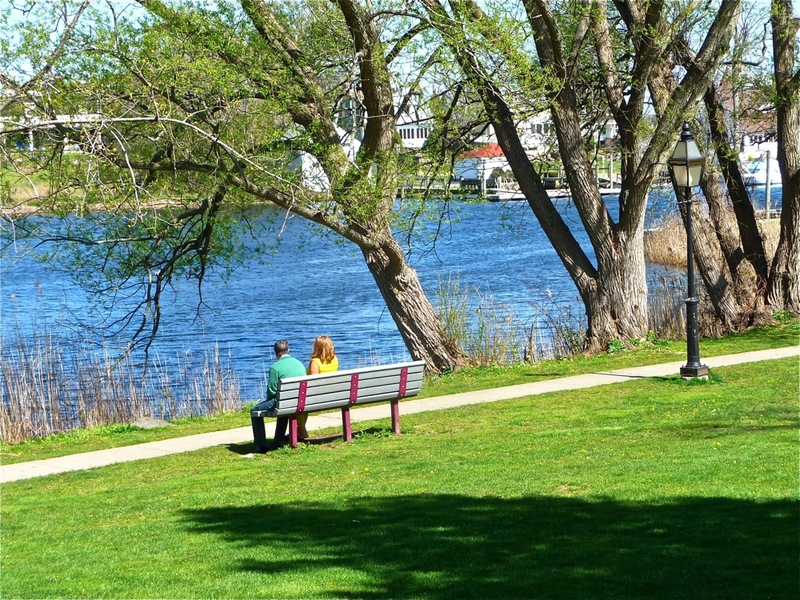 Start with Pawtuxet Park and Aspray Boat House area on the Warwick side with its pretty white gazebo and meandering paths leading to the Pawtuxet River. Walk a few of the side streets to see some grand old homes and beautiful harbor views. Stroll the bridge with its vibrantly colors flower beds in the warmer weather, and commanding views of the river. Breathe in the coastal air and also be aware that the common loud noises that we hear in every day suburban and urban life have been reduced to a minimum. Say "hello" back to the locals that say "hi" to you first. Enjoy the Main Street USA look of Broad St. that seems to have greatly dissipated in the United States the past 40 years with the presence of big box stores. Broad St. is one of those streets that could have cars filling up each space but upon walking onto the sidewalk, everything is inexplicably quiet. Go figure, but the peacefulness stands out, even when the village is busy. Pawtuxet Village does lack in a few coastal vacation town staples: there's no lodging and restaurants with upfront water views (O'Rourke's dining patio is the closest you'll get, but not right on the water). Somehow, though, the lack of lodging and waterfront restaurants do little to impede the joy of visiting this charming New England town. Perhaps the absence of pretension and vacation-town self-consciousness -- and the abundance of scenic beauty and all those places to eat -- outweighs the void of those few elements lacking. Plus, there is that X factor of feeling right at ease and at home in Pawtuxet River rather than a guest that pays a fortune to enjoy a vacation in a town that markets itself heavily. Here in Pawtuxet Village, you can just be yourself whether as just a standalone day trip, or as part of a vacation that includes nearby Newport or Providence. 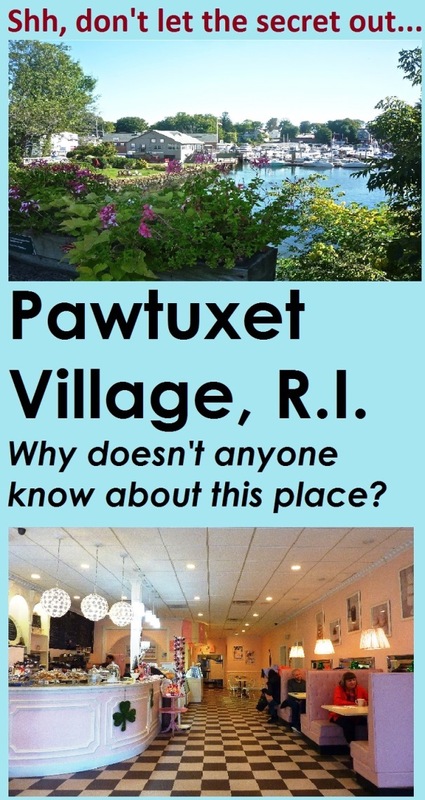 Whatever route you choose for your travel, consider Pawtuxet Village a hidden New England travel gem that takes you away from the fast-paced world just down the road and into a charming village that ranks amongst the most appealing in the six-state region. For more information on Pawtuxet Village, log onto the Friends of Pawtuxet Village and Pawtuxet Village web sites. Like this story on Pawtuxet Village? Share it, save it on Pinterest.